The UCLA Herb Alpert School of Music presents a tribute concert to honor award-winning composer James Newton, a distinguished professor and interim director of jazz studies at UCLA. Newton has written more than 300 compositions during the course of his illustrious career. 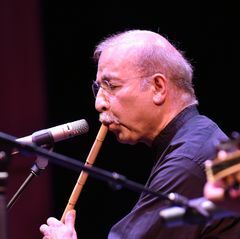 Performed worldwide from Carnegie Hall to the Berlin National Gallery, Newton’s work encompasses chamber, symphonic, jazz, world and electronic music genres, as well as compositions for ballet and modern dance. 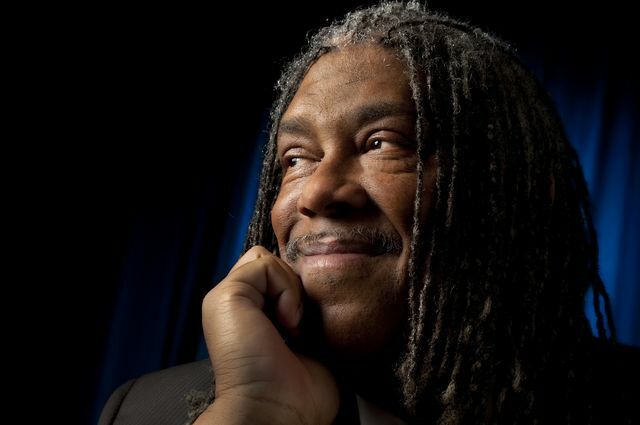 The “Amazing Grace: James Newton at 65” concert, which is free, will be held on Sunday, April 22, at 6 p.m. in Schoenberg Hall and features the Southeast Symphony, the longest continuously performing primarily African-American orchestra in the world, conducted by Anthony Parnther. Soprano Holly Sedillos, Grammy Award-winning UCLA pianist Gloria Cheng, bassist Eric Shetzen, horn soloist Dylan Skye Hart, and the Lyris Quartet round out the roster. Opening with the 1988–1989’s “The King’s Way,” which is dedicated to Martin Luther King Jr., the concert program traverses to 2016 with the world premiere of “Glimpses of the Garden of Eden” for horn solo and chamber orchestra. A second world premiere, “The Sixth Seal” for solo piano, taken from Newton’s 2010 composition, “Revelation Diptych,” is a profound exploration of spiritual commitment in confrontation with terrible darkness. James Newton’s arrangement of “Amazing Grace,” commissioned for a performance by acclaimed visual artist Carrie Mae Weems on race relations in the United States, is on the April 22 concert program. “Amazing Grace: James Newton at 65” only represents a portion of the path of his musical language, which connects seemingly disparate influences, that include Duke Ellington, Charles Mingus, J. S. Bach, Mary Lou Williams, Claude Debussy, Olivier Messiaen, Doudou N’Diaye Rose, Henri Dutilleux, Toru Takemitsu, Hale Smith, György Ligeti, John Coltrane and Billy Strayhorn. 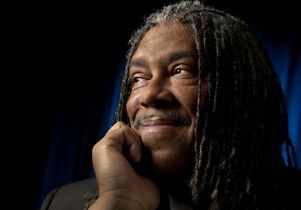 Described as a “musician’s Renaissance man,” Newton is a recipient of multiple awards, fellowships and grants, including the Ford Foundation, Guggenheim, National Endowment of the Arts and Rockefeller Fellowship. Tickets for the concert are free. For more program information and to RSVP, please visit the school of music calendar. James Newton, distinguished professor of jazz in the UCLA Herb Alpert School of Music.